Jürg Schubiger and Rotraut Susanne Berner tell us about a place and a time where Death was completely unknown. People did not even know Death’s name. “Death? You have never heard about that. There was no “last hour” in those days. There were the second, the third, the thousandth hour… there were always one more hour. Hours and hours… hours even there where the horizon drifts away. In those days, everything kept beautiful and intact. However, one day Death arrives as a stranger, passing through the village, or rather, He tripped himself while he is arriving at the village, since he is so clumsy… So clumsy that children laugh at him. So clumsy that, at night, while smoking laying on a bale of hay, He accidentally burn the house up. In the morning, Death, crying, blame himself in despair: What have I just done again? The reticent text by Jürg Schubiger, so brilliant and touching, and clear, intelligent pictures by Rotraut Susanne Berne work together in this picture book to show us how Death not only feels suffering but also mercy and consolation. 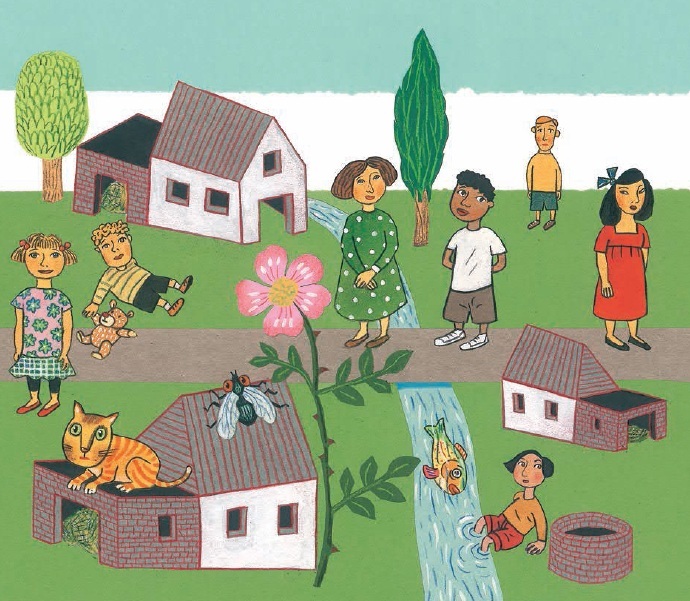 "This new picture book by Jürg Schubiger and Rotraut Susanne Berner brings that bittersweet taste good books have: first, we feel that something really important has been told to us; on the other hand, we know that there are many other things in the book apart from those we noticed the first time we read it. Children who read this story (...) will know more about society and the world than many adults do" (Babar Magazine). “It is a great achievement to tell us so easily something like this: what has an end is what gives life and takes life” (Tagesanzeiger). Cuando Luci entró en el aula, estaba claro que él no era un niño como los demás. Él era un diablo que venía directamente del Infierno. ¿Qué estaba haciendo allí si sentía tanta nostalgia? Luci hacía su aprendizaje en la aldea: tenía que provocar 1000 diabluras y sólo entonces podría regresar a casa. 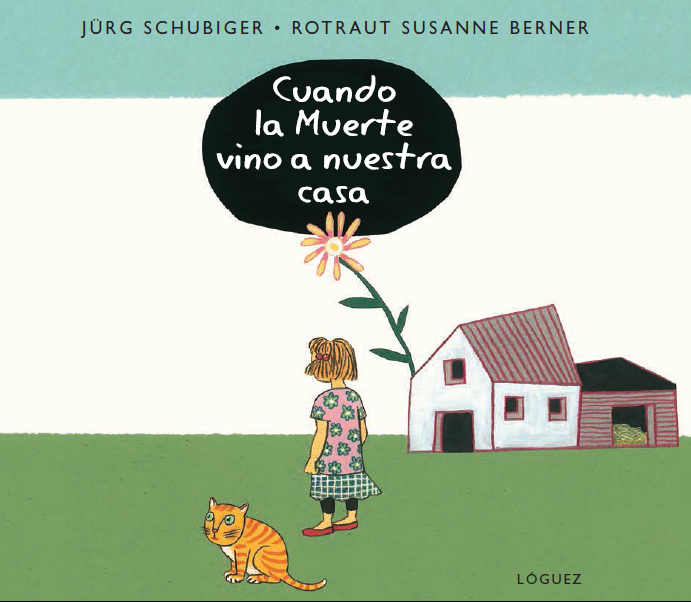 El Instituto de la Infancia utiliza en sus cursos de formación el libro de Jürg Schubiger y Rotraut Susanne Berner "Cuando la Muerte vino a nuestra casa". Mariana Salvi, psícóloga y profesora de orientación, nos relata su experiencia con este libro en su curso "Separaciones, pérdidas y duelos en la infancia". El autor suizo Jürg Schubiger ha fallecido en Zürich a la edad de 77 años después de una larga enfermedad. El jurado del Premio Hans Crhistian Andersen ha dado a conocer los nombres de los finalistas al Premio Hans Christian Andersen y Rotraut Susanne Berner es uno de los cinco candidatos ilustradores. El jurado del IBBY ha anunciado la concesión de los premios Andersen 2016, siendo otorgado el Andersen de Ilustración a Rotraut Susanne Berner, mientras que el autor galardonado por sus textos ha sido Cao Wenxuan.